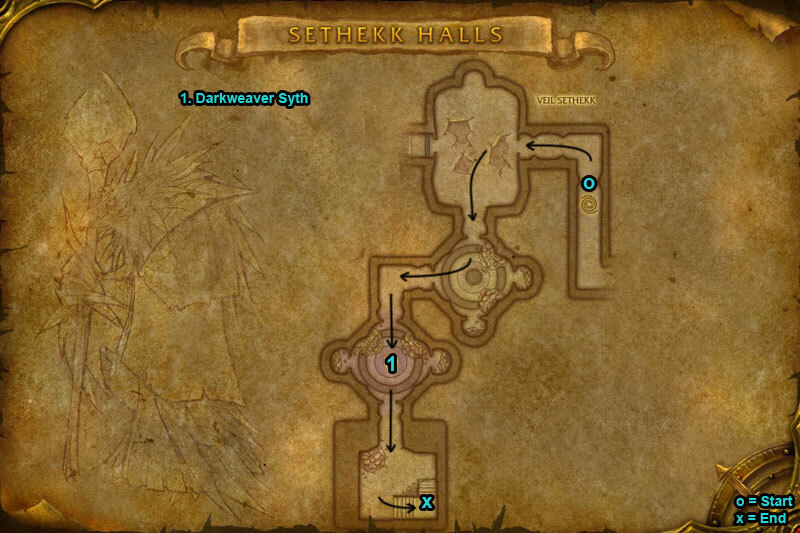 You can find the Sethekk Halls dungeon within Terokkar Forest, Outland. Make your way to Auchindoun and go into the Ring of Observance. Here you will see loads of doorways. 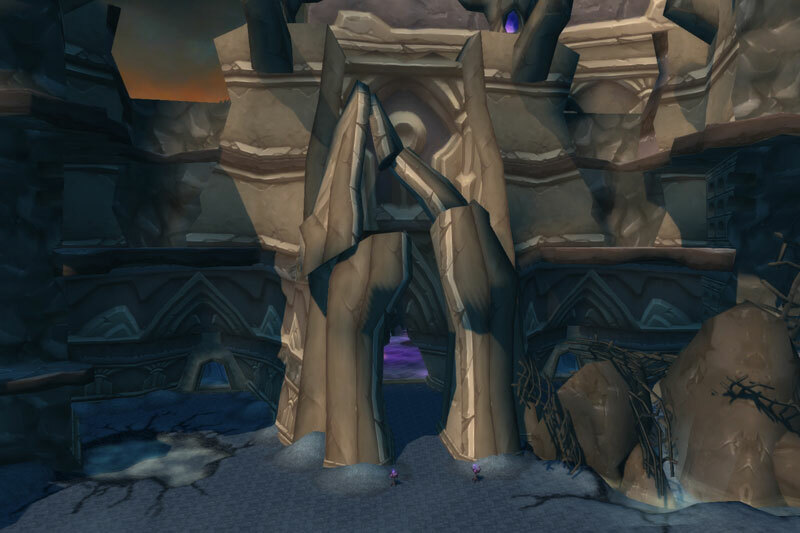 The Sethekk Halls entrance is this doorway. /i Uses Chain Lightning. Flame Shock & Shadow Shock both deal ticking damage. Frost Shock reduces movement. Summons 4 Elementals during fight, they each hit players increasing damage taken from fire, Frost, Arcane or Shadow. /i Screeches stunning players. Charges a ranged player, damages & knocks back. Spell Bomb drains a players mana when they cast. At 75% & 35% boss is protected for 1 min. Kill the Brood of Anzu birds quickly. 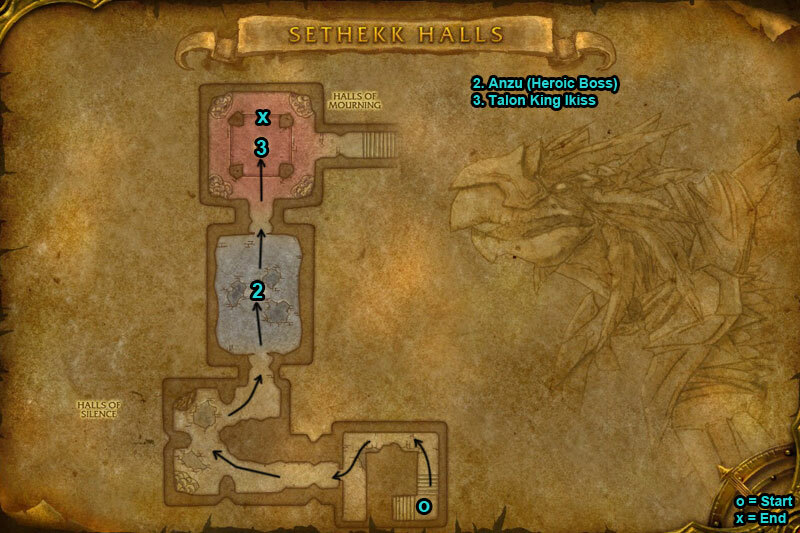 /i During fight boss blinks to a players location & cast Arcane Explosion, hide behind pillars to avoid. Boss casts Mana Shield absorbing damage. 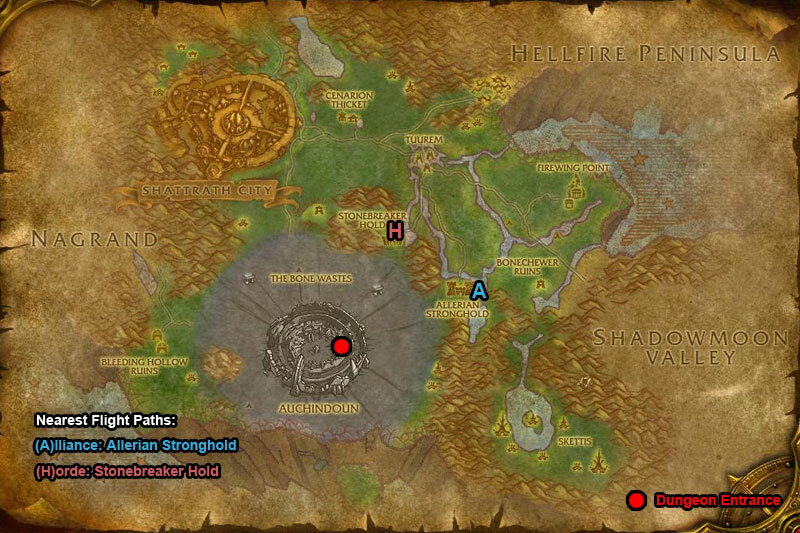 Heroic Differences: Casts Slow reducing players movement & attack speed, lasts 8 sec.